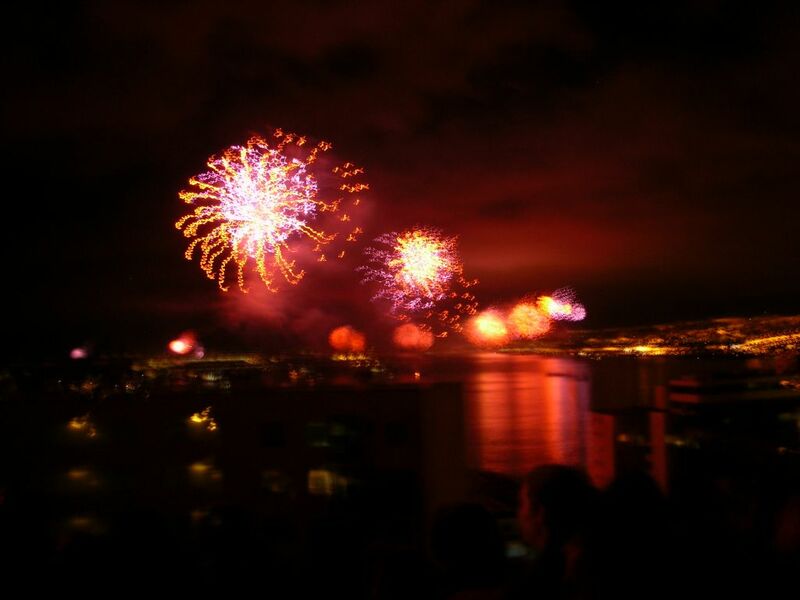 For the New Year's celebrations, I went to Valparaiso, a city located west from Santiago, by the Pacific Ocean. The new year's arrival was illuminated by a huge fireworks show 21 Km long that included 3 cities: Valparaiso, Viña del Mar and Con-Con. They used 15 tons of fireworks and they even want to enter this event into the Guinness records, as one of the most extensive fireworks show in the world! wow! so much fire power! did u take a video of it as well? WOW, what a wonderful shot. Bravo!! It sounds like it would be a Guinness record winner. That's alot of fire-power. Nice capture of the fireworks. From Mediterranean Athens greetings to Pacific Chile. Beautiful photos in your blog, happy to watch them. watching the fireworks from this perpective is breath-taking, wonderful capture! I'm just NOW finally getting around to visit other photobloggers and wish them a Happy New Year! On Maui, we had so many firworks that the sky became filled with a smokey haze....the Islanders really go for it! Happy New Year! Greetings from Pennsylvania. Your photos are awesome, great blog! I was last year at Valparaiso.